Following a presentation of the plans for a new 2-story building of the ARS Sosseh Kindergarten in Stepangert, Artsakh, Araxy Aykanian announced that $2,000 of the in lieu of birthday gift proceeds for her husband’s, Ardashes’ birthday, were to be allocated to the construction. 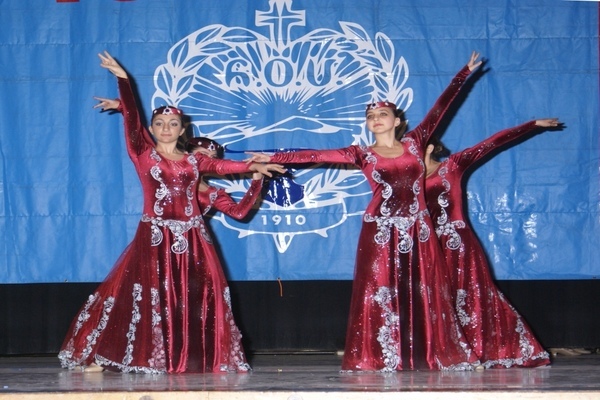 The ARS Mayr Chapter of Fresno will hold a Centennial Celebration Luncheon on Sunday, September 13, 2015, at 1 p.m., at Holy Trinity Armenian Apostolic Church Social Hall, 537 “M” Street, Fresno, Calif. 93721. Tickets are $50.